Spring Training is just around the corner and for the first time in a long time... 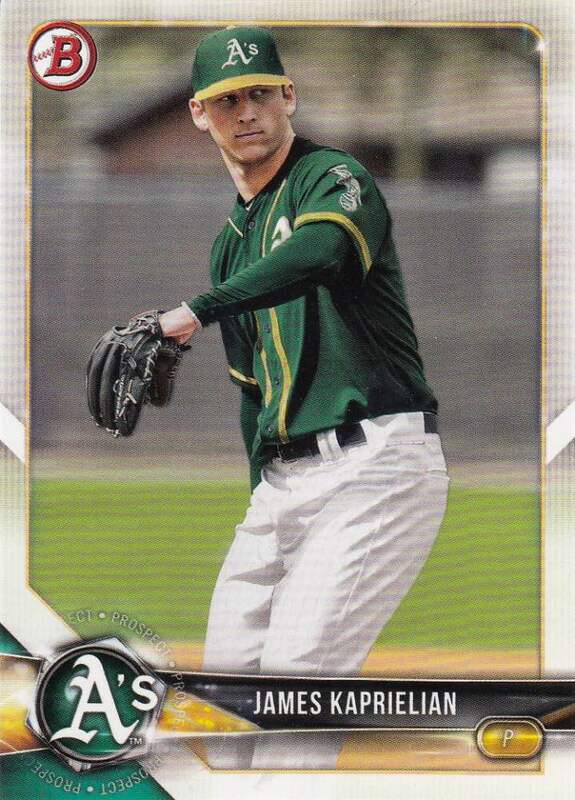 I've actually taken an interest in the A's top prospects. Don't get the wrong idea. I'm not going to become a prospector anytime soon, but I am interested in seeing what Jesus Luzardo, Jorge Mateo, and Sean Murphy can do against MLB talent and whether or not they will eventually be called up this season. 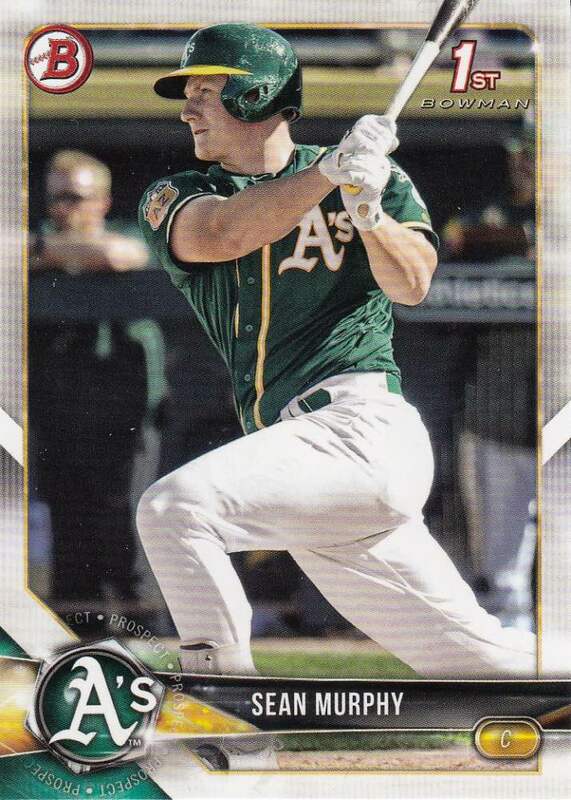 Both of these guys are Top 25 prospects within the Oakland Athletics organization, although injuries held both of these guys back from developing last year. The good news is that there's hope for all three of these prospects. 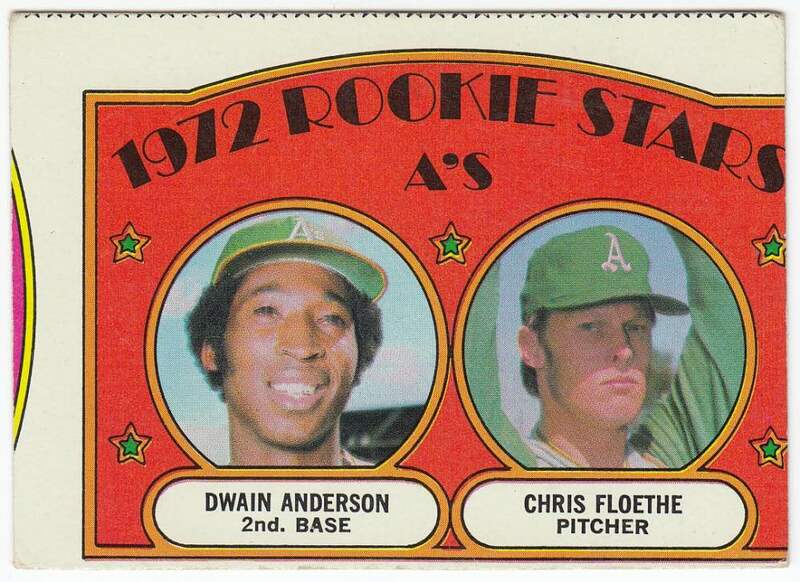 Chris Floethe never played a single game at the MLB level. Dwain Anderson did. 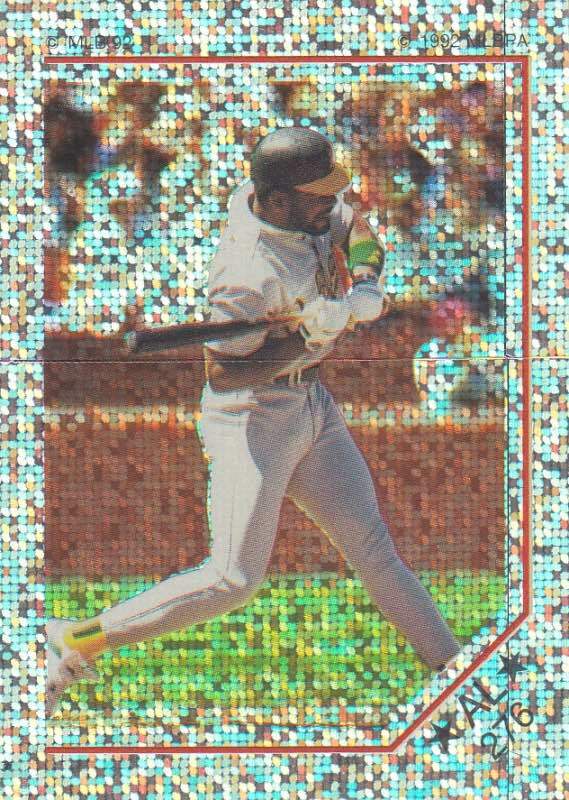 He spent four seasons with four different teams and had a career .203 batting average. His claim to fame? According to Wikipedia, he holds the post-1920 non-pitcher single season record for at-bats without an extra base hit. He set the record in 1973 with the Padres and Cardinals when he registered 124 at-bats. 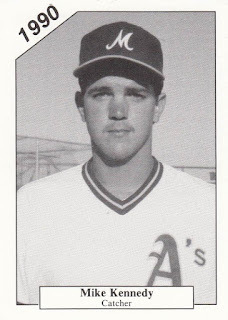 Kennedy was the Oakland A's 9th round pick in the 1990 MLB draft. He spent two seasons in the minors before calling it quits. From what I've read, he's been the head baseball coach of the Elon Phoenix since 1997 with a 604-434-3 record. 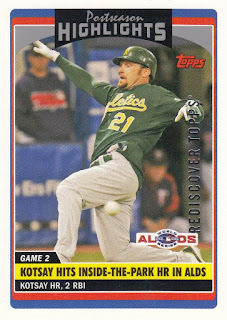 Kotsay played four seasons with the Oakland Athletics in the mid 2000's and this card captures one of his career highlights. 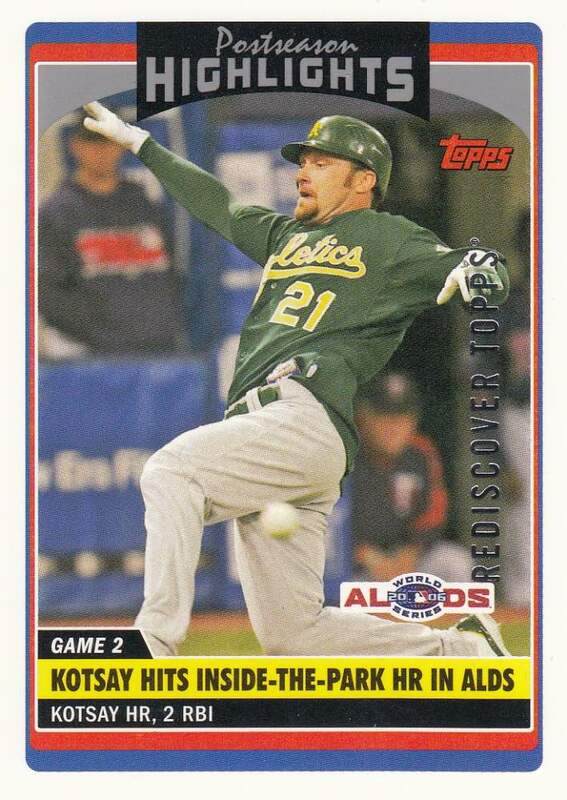 In Game 2 of the ALDS versus the Minnesota Twins, Kotsay hit a ball to center field that got past Torii Hunter which allowed him to hit an inside-the-park home run to blow open the game. The A's would go on to sweep the Twins in that series, only to be swept by the Tigers in the ALCS. 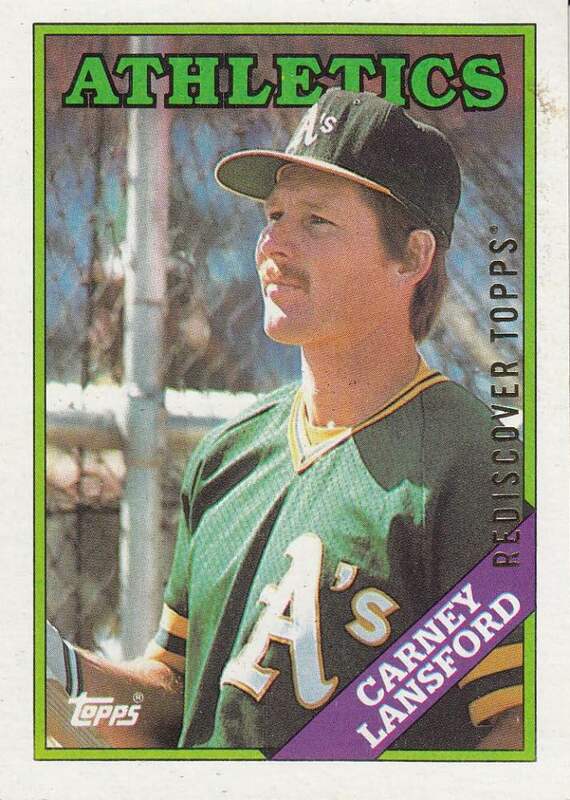 Carney Lansford was The Captain of those star studded late 80's/early 90's Oakland A's teams and definitely a fan favorite. 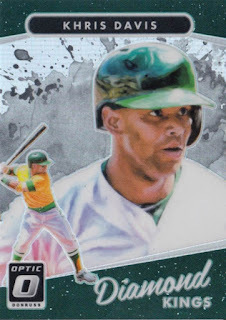 This is hands down my favorite card in Bru's PWE. This one is much, much shinier than the Lansford. 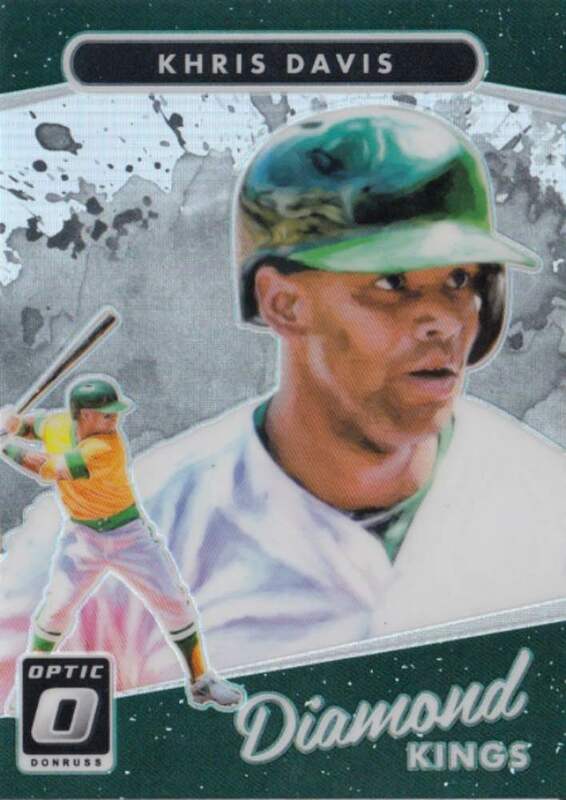 Which is perfect, because Khris Davis is definitely one of the A's hottest stars. Damn. 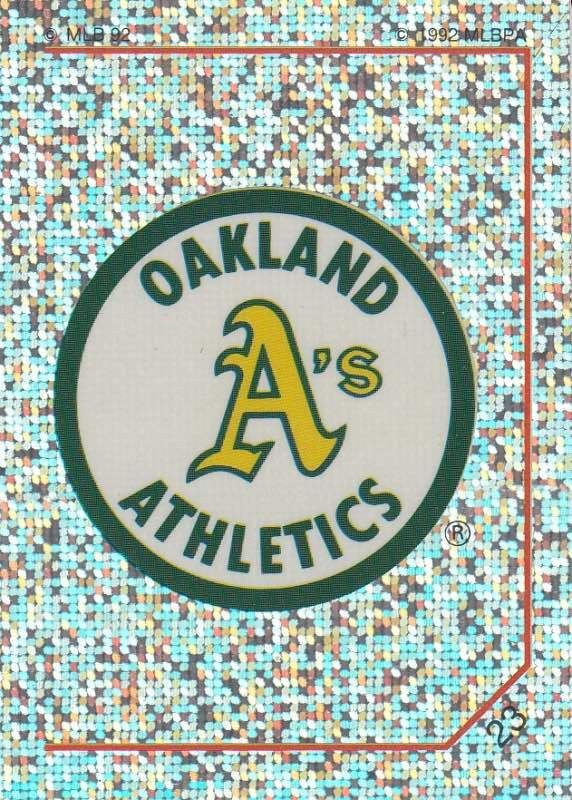 I miss the days when the A's management actually opened up their wallets. Maybe this is the start of a new era. 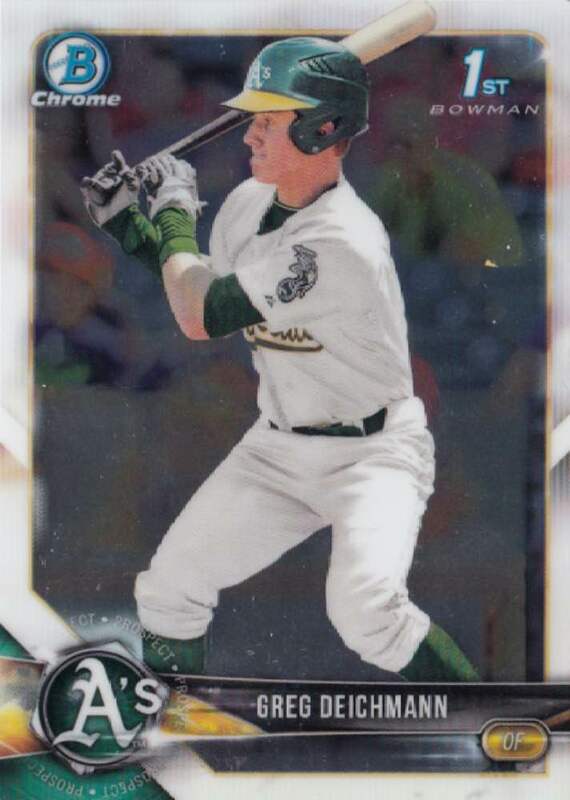 Maybe they'll actually hold onto guys like Chapman, Olson, Laureano, and Treinan. And who knows... maybe along the way Luzardo, Mateo, or Murphy will blossom into future stars. Thanks Bru for allowing me to reminisce and dabble a little into prospecting. Man do those sparkly Panini stickers take me back to ripping packs and filling up the albums as a kid. Right in the nostalgia! And you're right, those old A's teams killed it back in the late 80s. I haven’t seen the shiny panini stickers before. I like those! I have never seen those 1992 Panini Stickers, but I definitely want some for the Twins! 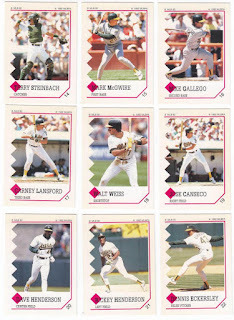 Something about the ugliness and simplicity of the 1988 Topps set is so endearing. I don’t hate them. base card hero - me either. i'm sure you can find a team set on ebay... or maybe reach out to bru directly. he might have an extra set. sumomenkoman - lol. 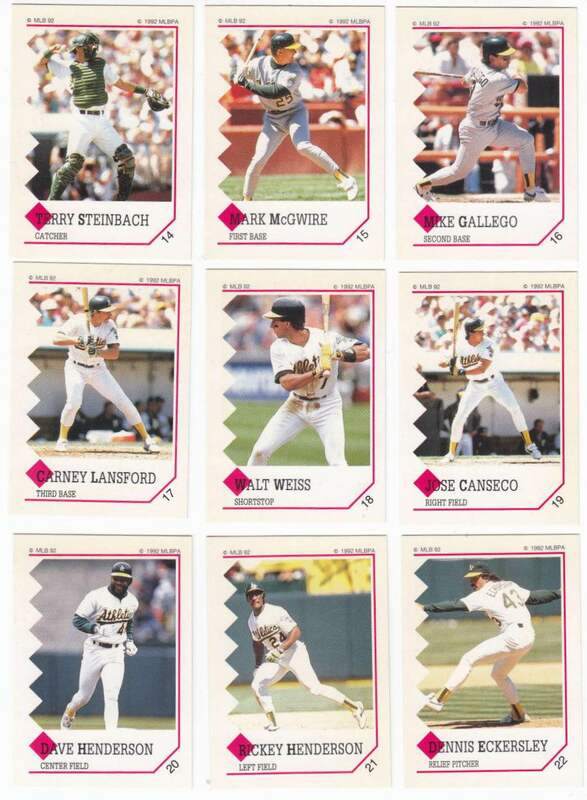 it's my least favorite 80's topps design. but i do love this lansford buyback. Phew, I'm behind on pretty much everything - but you are most welcome! I've got an eye on Jesus Lizard, er, Luzardo as well (sorry, my brain can't help it). Also, he graduated from Stoneman-Douglas HS, the one where the Parkland shooting occurred, so I wish him all the best.